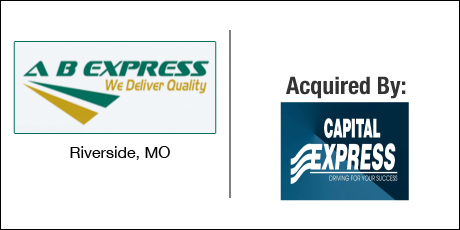 The Buyer: Capital Express, Inc. is a full-service transportation and logistics company serving a nine-state region in the Midwest. The company serves the medical and retail markets, among others, performing well over 100,000 deliveries per year. Capital Express is headquartered in Omaha, NE. The Seller: A B Express is a courier and delivery service covering a 4 state region in the Midwest. The company provides service and logistical solutions for customers in many industries including: Photo Finishing, Pharmaceutical, Dental, Optical, Automotive, Utility, and Laboratory. The Close: The owners of A B Express engaged DVS to assist them with a sale to a strategic buyer in the area. Consolidation is occurring throughout the industry and it appeared that the time was right to exit. After reviewing multiple opportunities with various partners, a mutually beneficial deal was reached with Capital Express that created synergies for the buyer with a lucrative structure for the sellers. ← ABC Nitrogen Service Corp.